Maybe they can make an app that shows thunder on the Storm? 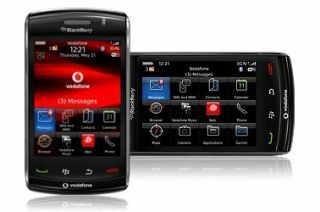 RIM is not content with merely releasing its first ever touchscreen handset today; it's decided it wants the development community to help it take on Apple's App Store too and has made its SDK public. Previously, the SDK was only available to big names such as Google and Vodafone (obviously), but RIM thinks the time is right for the rest of the world to have a crack as well. The Canadians have opened the virtual doors on the Application Centre, which will allow users to browse around and have a good look at all the applications they can have on their new Storm handset (which is currently the only device to support it). However, apparently there's not a lot on there at the moment, so fingers crossed that the developers get their act together and come up with something soon. There's pretty much the same feature list that developers for the Android G1 and iPhone devices have had to play with, apart from the conspicuous absence of Wi-Fi, which we still find inexplicable.